This spring and summer I got reading about Black Loyalists in Nova Scotia, inspired mostly by reading Lawrence Hill’s Black Berry, Sweet Juice and by the subsequent discussion I had with my sister. Around the same time I also read Steal Away Home by Karolyn Smardz Frost. All of this made me want to know more about Black history in my area. So for a while I’ve been working on this post here and there as I’ve read the books. 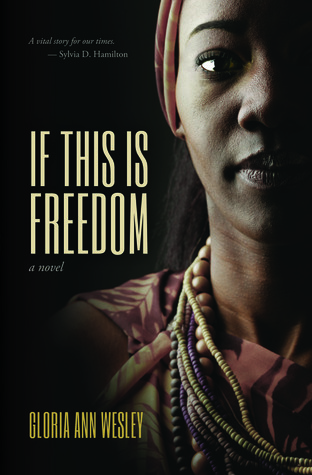 But lately I’ve hit a plateau, so when it was announced that One Book Nova Scotia this year is If This Is Freedom by Gloria Ann Wesley, and I already had that one read and written about, I took it as a sign to finish this up and move on. So here are my thoughts on If This Is Freedom as well as a quick mention of the other books I’ve been reading. By no means am I finished everything I hope to read. But… for now. If This Is Freedom (2013) tells the story of Sarah Redmond and her family as they struggle to survive in Birchtown, Nova Scotia after arriving there in 1783 with many other Black Loyalists from America. 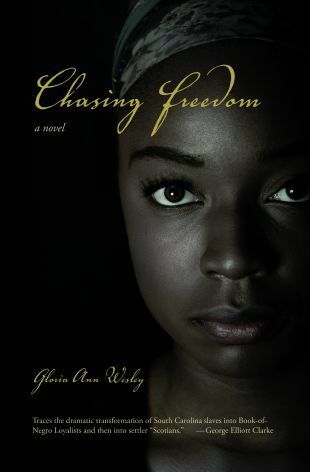 It’s a companion novel to Chasing Freedom (2011), which is about Sarah’s journey from her enslavement on a plantation in South Carolina to New York to wait for a ship that is going to take them to freedom in the British Colonies, after the American Revolutionary War. … here on the shores of Birchtown where some were naked or falling dead from hunger, even resorting to eating their dogs and cats, she was going to make sure that she would survive by any means… any means at all. Her lot in life was defined by her skin, too many laws and views and the never-ending struggle to gain their place. This fight – it was like breathing stale air. In her mind she hated them all and if she could have, she would curse them, even spit on them. The feeling was so strong it surprised her, for it came from a place of darkness not even she had been aware of. I found this book slow to get going. It wasn’t until I was about a third of the way in that I really started turning the pages. I also found that there was some repetition and too many reminders of how Sarah and Thomas must be feeling. Maybe this is common in YA? Despite these minor issues, for me it was well worth the read. How many novels do we have that are set in Birchtown or written about the Black Loyalists of Nova Scotia? I love Sarah’s sense of justice and her longing for a place to call home. She fought for what she believed to be right, and she fought as hard as she could for her first home of freedom. But the story of freedom is a long one, and Sarah’s time in Birchtown is only one small part. 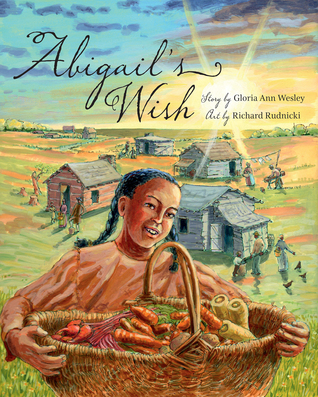 Gloria Ann Wesley‘s books are highly relevant and I hope that they are being read in our schools. I’m grateful to her for writing them. In this interview in Atlantic Books Today, Gloria Ann Wesley talks about living with her grandmother in Yarmouth, her love of books at a young age, the encouragement she got from some of her teachers, and the “serendipitous” way in which her first book of poetry was published, To My Someday Child. I’m happy to be able to tell you that If This Is Freedom made it onto the Reading Nova Scotia: 150 books of Influence that was recently released, along with many other worthy and wonderful books. 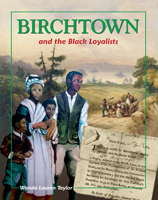 Birchtown and the Black Loyalists by Wanda Taylor: This is a non-fiction book for young school-age kids. 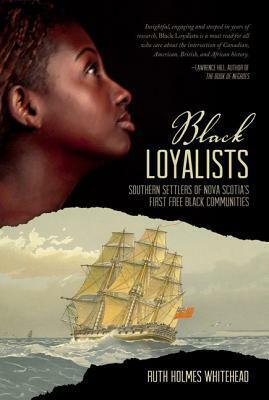 It explains the basics about the Black Loyalists’ quest for freedom and how they came to live in Nova Scotia, as well as the hardships they faced once they got here. The text is well illustrated, and the book includes factual sidebars, a glossary, as well as a list of recommended reading. Wanda Taylor is also the author of The Nova Scotia Home for Coloured Children: The Hurt, the Hope, and the Healing; another book on my list. I grew up in Yarmouth, so this book was especially interesting to me. It’s crazy to think that a small village just a 5 minute drive from where I lived has so much history attached to it that I didn’t know anything about. And I’m pretty sure I’m not the only one. This book is filled with stories from the past (as far back as slavery), newspaper articles, court cases, Black communities in the area, Black churches and schools, murders and disappearances, births and deaths. The timeline continues all the way to the present to include stories of racism and stories of success. The text is scattered with black and white photos of the people, places, and buildings that contributed to and helped to support the community that is still there today. There passed away peacefully today at her home on Starr’s Road. Hester McKinnon, age 106 years. Hester was the daughter of William and Dinah Berry from whom sprang the entire race of Berry’s who resided on the back road leading to Hebron. William Berry, Hester’s father, was a slave belonging to James Lent Sr who was one of the first settlers in the Tusket Village and who was known as Judge Lent as he administered the rights of Justice in those olden times. Mr. Lent was one of the Loyalists who came here from Shelburne in the previous century and brought with him his slave, William Berry. 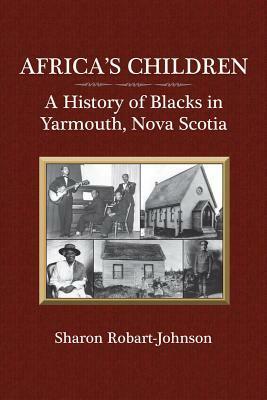 Sharon Robart-Johnson is a 13th generation Nova Scotia, born in Yarmouth, and part of her heritage dates back to the early slaves who were brought to the Digby County area in the late 1700s and to the Black Loyalists who arrived in Shelburne in 1783. As of the publication of this book, she and her family live in the (at one time) all-Black community of Greenville, Yarmouth County. Sharon Robart-Johnson commissioned carver Bruce Jacquard to create a scene that depicts the beating of Jude; an enslaved woman in Yarmouth who was beaten to death in the early 1800s. Whylah Falls is a novel written in poem form about families, lovers, and murder in the 1930s. Some of the poems I found to be more connected to the story than others. These are the ones that kept me reading. At times I find his work visceral and dark, while at other times I find it beautiful and surprising. The reason I chose to read it as part of this project is because Whylah Falls is a fictional place based on Weymouth Falls, Nova Scotia; a community formed almost entirely of Black slaves and Black Loyalists in the late 18th century. 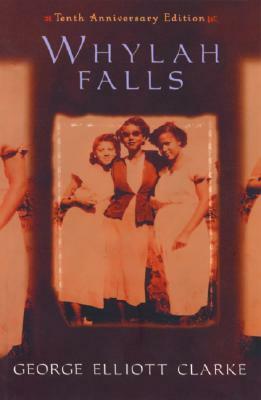 Whylah Falls has been adapted into a stage play, it won the Archibald Lampman Award for poetry, and it was a contender at the 2002 Canada Reads competition, championed by author Nalo Hopkinson. This is the book I’m reading right now, and probably will be for a while. It’s packed with detailed information about the slave trade, Black life in the Southern US in the eighteenth century, the American Revolutionary War, the resulting Black Loyalists making their way to Nova Scotia, and their subsequent life in Nova Scotia. As well as being shortlisted for three other awards, it was the winner of the 2014 Atlantic Book Award for Scholarly Writing. 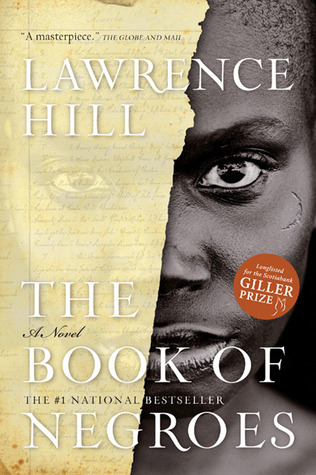 And Lawrence Hill, of course, is the author of one of my favourite books, The Book of Negroes, which tells the fictional story of one woman’s journey from Africa into slavery, and from there to Nova Scotia, arriving in Birchtown just like Sarah Redmond in Chasing Freedom and If This Is Freedom. It has also been made into a TV Mini-series. Has anything caught your interest lately and sent you from book to book? Does anyone have any recommendations for me on this subject? This is an incredible resource list! You’ve put so much work and thought into it. It is so easy, especially living on my side of the Atlantic, to assume that once a black slave had made it across the border or even into the Northern states, all would be well. I suspect we are all rather parochial in our knowledge and understanding of history but that is still no excuse for the fact that I know nothing of the history of black lives in Nova Scotia. Thank you for the resources. Excellent post, Naomi, and how cheering to see this issue explored in a young adult title. Agreed! And being chosen for One Book Nova Scotia will hopefully bring it to the attention of more parents, teachers, schools, etc. Great post, Naomi! I’ll have to add Black Loyalists to my reading list. And I can only agree with A Life in Books that it’s great to have this subject explored in YA titles. I think when you are interested in history, it’s particularly easy to get lost in book chases. I’m always in awe and a little envious of all the books you find that have a link to Nova Scotia. You keep opening new worlds for me to dive into. Ahhh, so much to read. Must make more time! Thank you, Naomi! I think it’s a bit better now. For example, my kids seem to know more about Indigenous culture and history than I ever did. I remember learning VERY little about indigenous culture, nothing about residential schools certainly. Ugh, hopefully that is changing! I think it has changed a lot. My kids seem to know more than I ever did! well that’s a step in the right direction I suppose. Ah yes, future generations, they will save us, right? Thank you so much for all your great blog posts! I’m always looking for new books and old favourites to read, and you’re helping me add to my list! As a Western Canadian, I’m realizing there’s much more I can learn about the history of Eastern Canada and the Maritimes, so I really appreciate finding out about these books! I just replied to another comment about how, in school, we seemed to learn more about Ontario and western Canada than our own area. So I guess I’m trying to make up for that. I’m sure there’s so much more about western Canada I don’t know. Maybe I’ll eventually read my way across the country… but it might take a while! I’d say that’s a good choice. And it covers a lot of ground, so by the end you’ll suddenly know a lot about which before you knew nothing! I love it! This sounds like a very interesting topic. I suppose Canada got lots of people fleeing the revolution, but I never thought about it before. Not stressed in our history books. Maybe not even mentioned. Yes, we got a lot of people from the losing side, black and white. We did learn about the Loyalists in school, but not much. I don’t know about the rest of the country, but several of our Nova Scotian towns were built up completely by the Loyalists. It would be interesting to compare Canadian history text books to American ones! What a great summary! There is a brief discussion of Birchtown in B. Denham Jolly’s autobiography In the Black as well. (I didn’t realise it is considered North America’s first race riot, something else that one would have guessed took place south of the U.S. border.) In the Black also has some brief scenes in Truro, so you might enjoy those aspects of it too. Actually, it’s not entirely Toronto-y really; I think many who are interested in black history would enjoy reading it. Oh, I didn’t know that! I already have it marked, but now am even more interested!